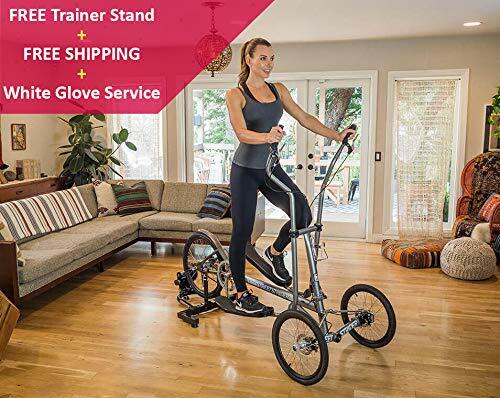 INDOOR TRAINER STAND + WHITE GLOVE SERVICE ASSEMBLY INCLUDED - The StreetStrider comes with the Indoor Trainer stand allowing you to transform your StreetStrider into a stationary indoor elliptical in seconds. 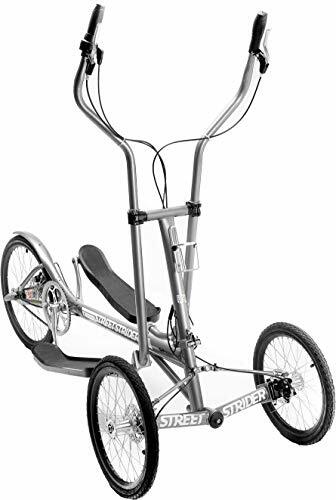 Your order also includes White Glove Service and will be assembled and delivered to you as a fully-built folded down StreetStrider. 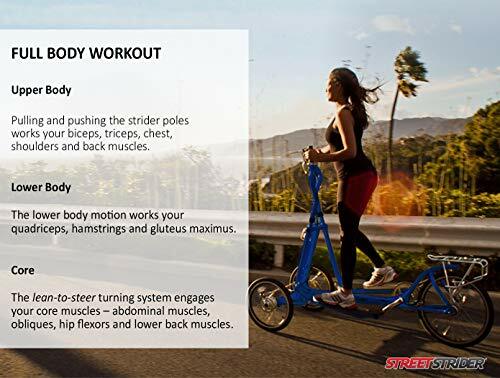 FULL BODY WORKOUT - Enjoy the combined benefits of jogging, skiing, and cycling, but without the physical stress on your joints and body; build muscle and burn up 1,000 calories an hour (50% more than a bike) while increasing your cardiovascular conditioning. 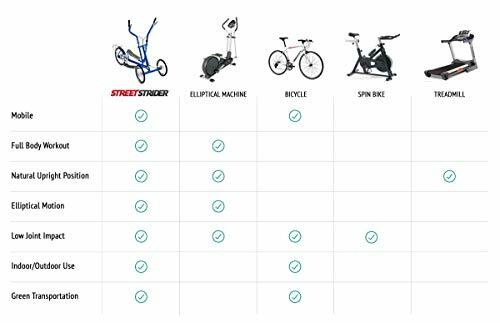 7 SPEED TRANSMISSION - Our most popular model, the 7i is perfect for cruising, sprinting and even climbing moderate to steep hills. With 7 gears, you can find the perfect resistance level for your stride and lean-to-steer for carving around turns. 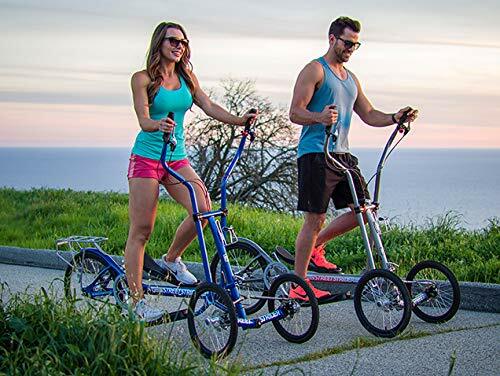 SUPPORTS UP TO 300 LBS - High tensile steel frame and a stable 3-wheel platform supports riders up to 300 pounds and the dual front and rear disc brakes provide exceptional stopping power. 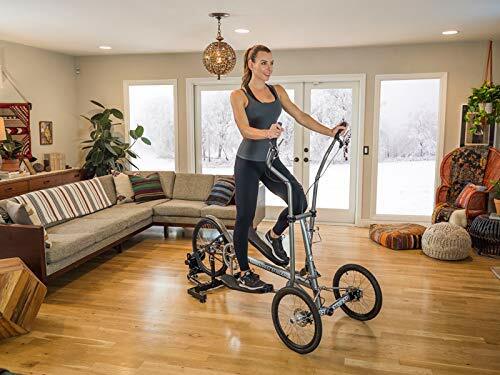 CUSTOMIZABLE FOR COMFORT - Adjustable arm levers and extended foot platforms provides a comfortable riding experience for people 5ft to 7 ft tall. Also foldable for easy transport.